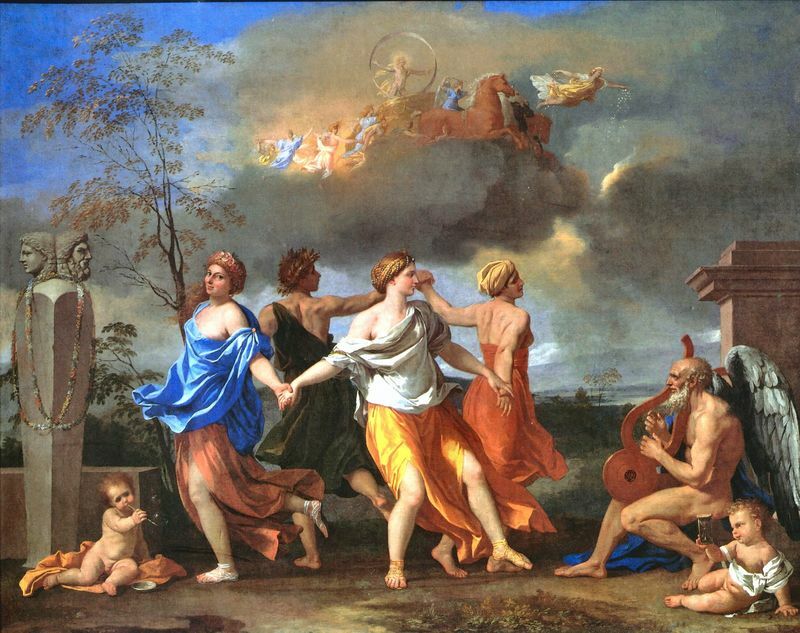 Nicolas Poussin is often described as the polar opposite of Caravaggio. As spontaneous, violent, and radical as the young painter of the Italian Baroque was, Poussin was temperate, stoic, and philosophical in equal measure. Poussin may have evidenced a melancholy disposition and a potentially diabolic temper that inevitably recalls Caravaggio's personality, but in reality this French artist represents the opposite end of the Baroque. Poussin's biography paints a portrait of the artist as a relatively quiet, scholarly man who shunned lucrative public commissions in order to maintain total control over his art. Nicolas Poussin was born in the town of Les Andelys in Normandy in June, 1594. 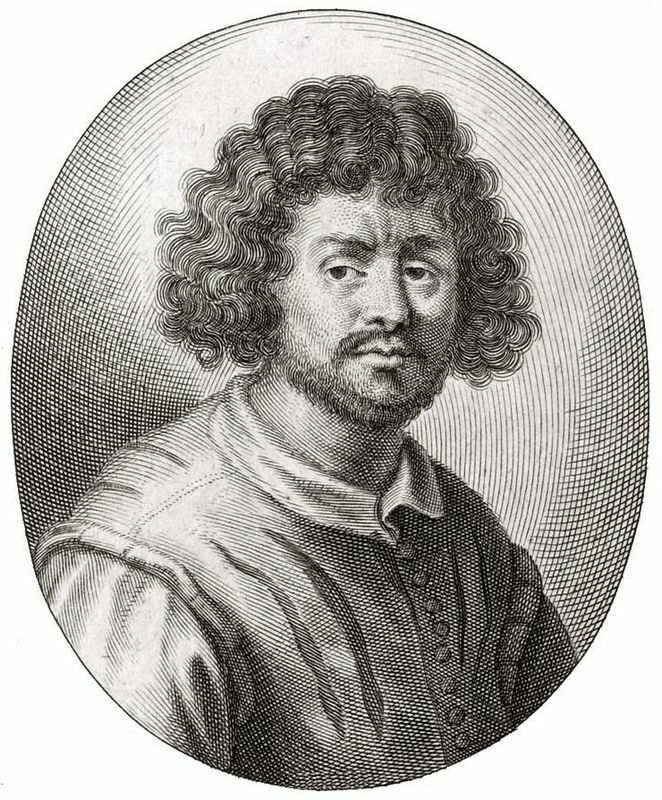 His family was essentially impoverished nobility: his father, Jean Poussin, was a nobleman who served in the Tavanes regiment under Kings Charles IX, Henry III, and Henry IV. The lack of monarchial funds meant that Jean and other nobleman like him had to foot the cost of their armor, horses, and so forth themselves, and by the time he left the regiment, Jean Poussin was poor. He moved to a small town in northern France, where he met and married Marie de Laisement, a war widow. Little Nicolas came on the scene not long after. The beautiful, hilly region in which Poussin was born, which was right on the banks of the Seine river, must have profoundly impacted his young mind, and influenced the artist's love of landscapes in his later career. As befits a child of his rank, Poussin was educated in Latin, letters and the sciences, scholarly interests that he would pursue for the rest of his life. Despite his adult passion for academia, however, some sources suggest that when he was a boy, Poussin was less than enthusiastic about his studies: one version of his biography says that Poussin's teacher used to scold him terribly for drawing in the margins of his books, instead of doing his schoolwork. Poussin's drawing ability was recognized from an early age, and when successful local painter Quentin Varin came to town, Poussin most likely studied the rudiments of art from him. Young Nicolas seems to have quickly tired of the small-town life, however, because at the age of 17, he left Normandy for Paris, where Poussin stayed from 1612-24. Very little is known about Poussin's early years in Paris, but it can be assumed that the first years in this sometimes unforgiving city were hard for the penniless Poussin, who didn't know a soul. Poussin most likely studied with artists Ferdinand Elle and George Lallemand, and would also have had the opportunity to study important Mannerist artworks executed by the school of Fontainbleau and Giulio Romano, which would prove to be extremely influential. As difficult as the first years in Paris may have been, Poussin's luck would change when he met Giambattista Marino, who has been described as "one of the greatest Italian poets of all time. " Marino, a favorite of Queen Marie de Medici, had been living in France since 1615 and was able to introduce Poussin to the luminescent world of Paris's intelligentsia. He became the up-and-coming artist's first important patron, and it was Marino who finally pushed Poussin to make the obligatory artistic pilgrimage to Rome in 1624 (Poussin had tried unsuccessfully to make it down to the Italian city on two different occasions, once in 1619 and again in 1622, on which occasions he most likely had the opportunity to visit Florence and Venice). Rome was still the largest, most vibrant, and most exciting city in Europe by the time Poussin arrived in March 1624, and it was the place for artists from all over Europe to come and study. The young, still unproven Poussin was just another drop of water in the veritable flood of art that was continuously washing over the city, and the rather introverted, serious young man had a hard time making his mark. 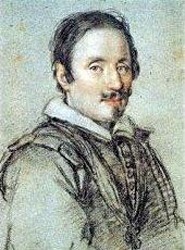 The situation was made even worse when Marino left Rome for Naples in the summer of 1624, only to die a few months later, thus completely abandoning his French protégé. Contemporary biographers describe how in these early years, Poussin often had to resort to hastily executed paintings for the open market and interior decorating to make a living. Luckily, before Marino left the city, he introduced Poussin to one of Rome's most important patrons, Marcello Sacchietti (best known as the patron of famous Baroque fresco painter Pietro da Cortona). 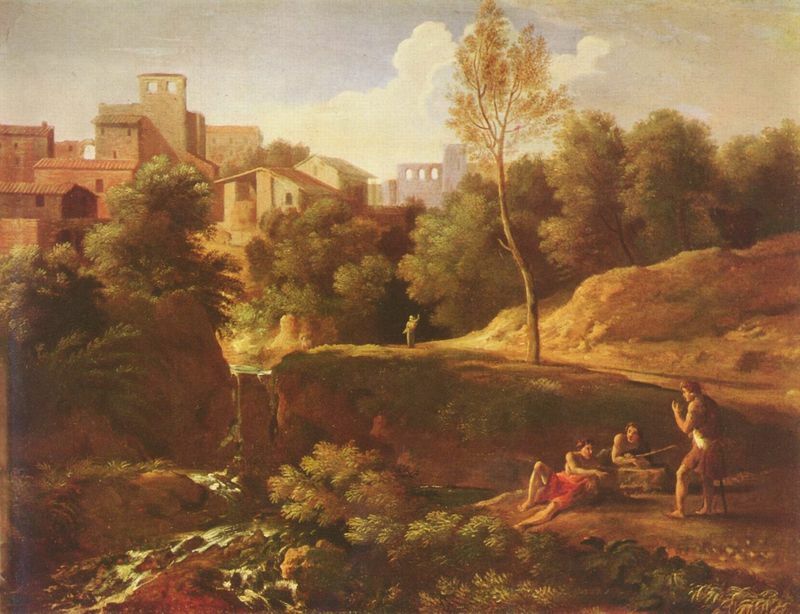 This was Poussin's first step into the world of wealthy Rome. 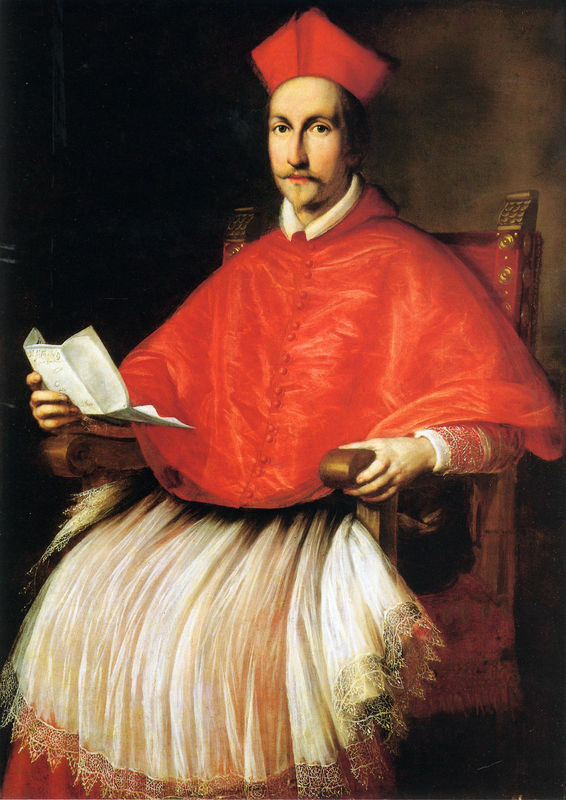 In the mid 1620s, Poussin also made the acquaintance of the powerful Cardinal Francesco Barberini, who gave the painter one of his first Roman commissions. Around this time Poussin also met the man who would prove to be one of the greatest inspirations in his career: Barberini's secretary, Cassiano del Pozzo, a relatively humble, but extraordinarily learned lay patron who was the veritable hub of scholarly activity in the city. 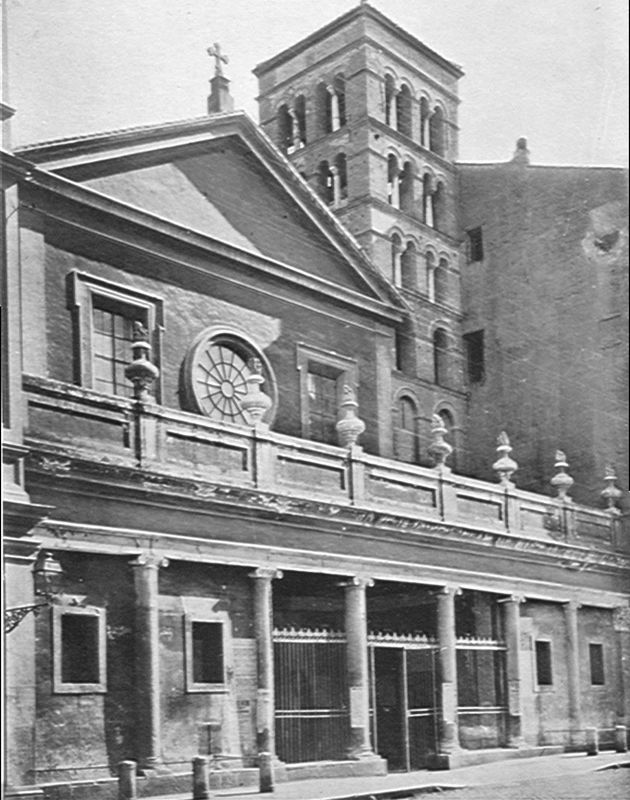 Pozzo was a fervent student of the arts and sciences who took enormous strides in the field of art history by commissioning artists to measure and sketch the antiquities of Rome for his Paper Museum (the Museum Chartaceum), a project in which Poussin was most likely involved. Pozzo introduced Poussin to the world of antique art, literature, and philosophy, subjects which would inspire the artist for the rest of his life. Despite these important new acquaintances, Poussin still wasn't making enough money to make ends meet. He lived a seemingly ambulatory existence in Rome: in 1626, Poussin was documented as living with the Flemish sculptor François Quesnoy (with whom the painter practiced sculpting antique models), and by 1629 he was living with Jacques Dughet, a famous French restorateur. Although there is no evidence to support the story, one biographer suggests that Poussin wound up in the Dughet household after falling terribly ill due to malnutrition. 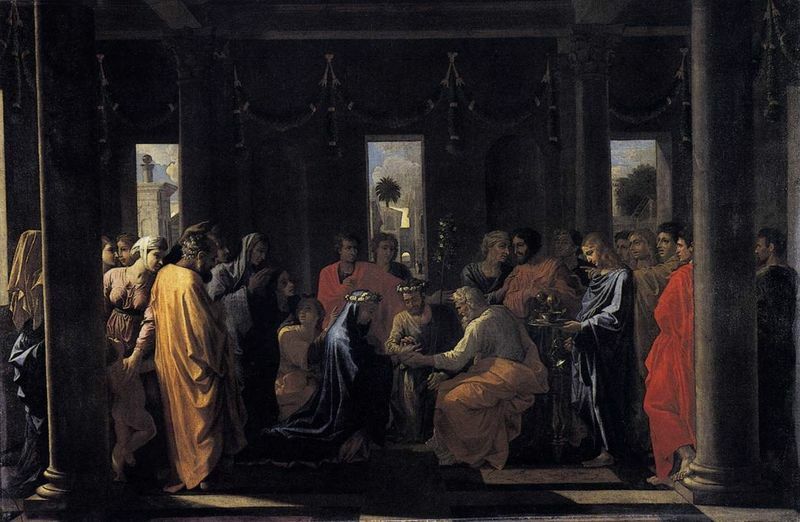 The Dughets took him in and nursed him back to health, and in 1630, Poussin married Jacques' daughter Anne-Marie. 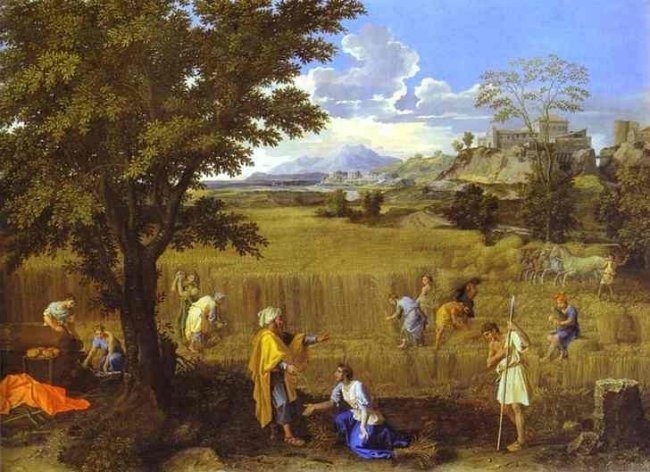 Poussin also grew close to Anne-Marie's little brother Gaspard, a talented landscape painter who would take Poussin's name after the more famous artist's death. Poussin, Gaspard and fellow French Baroque artist Claude Lorrain used to roam the Italian countryside together, sketching landscape scenes; the three artists were so close, today it is almost impossible to tell their paintings from this period apart. Poussin's big break would finally come in 1628, when he executed his first certifiable masterpiece: The Death of Germanicus, executed for Cardinal Barberini. 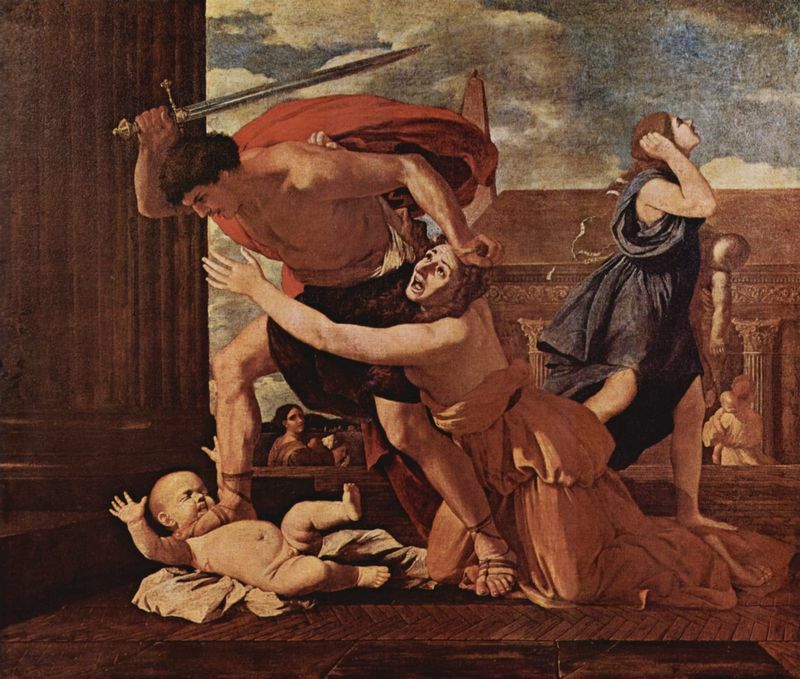 The stunning success of Massacre of the Innocents followed quick on its heels, and Poussin's reputation finally began to solidify. Poussin reached his artistic maturity rather late for an artist of the period, at the ripe old age of 32-compare that with Caravaggio, who died at the age of 39. Despite his late start, however, Poussin was soon so widely respected that he was invited to be a member in the prestigious Academy of St. Luke in 1632. Although today Poussin is seen as the very epitome of the classicizing Academic style, in reality Poussin did not necessarily get along too well with his fellow Academy members. Although contemporary reports suggest Poussin had a relatively calm, sober character that allowed him to cultivate many important personal relationships (despite his occasionally fierce temper), other artists in the Academy had a problem with Poussin's style. Rome was aflame with a particularly provocative debate during the 17th century: which style was better, the Ancients, or the Moderns? 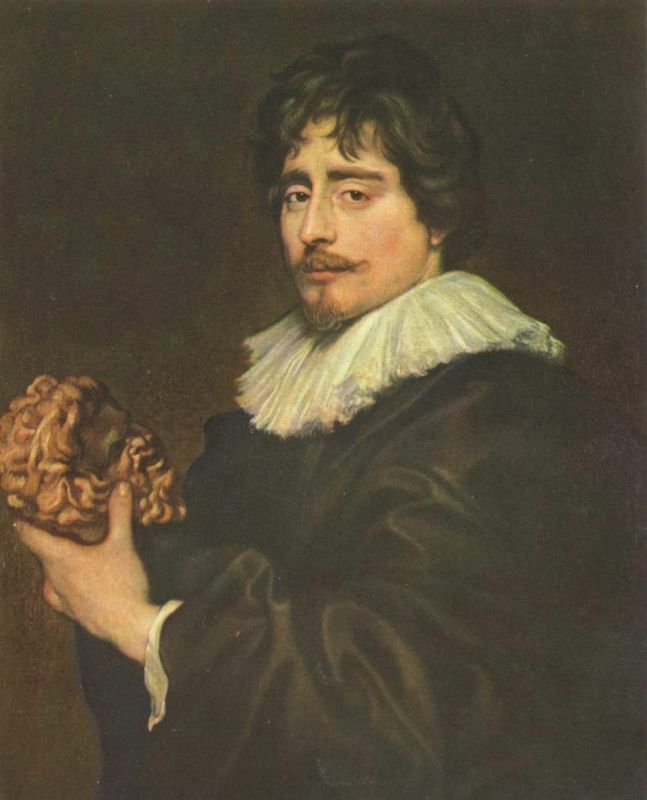 The calm, collected, intellectual classicizing of antiquity, or the dynamic, expressive forms of the Baroque? Poussin tended towards the former, much to the displeasure of modern supporters like Pietro de Cortona, who complained about artists like Poussin at the Academy of St. Luke in 1636. Some artists may have taken Poussin's paintings the wrong way, but that didn't keep him from growing in popularity throughout the 1630s. Poussin executed what is widely regarded as the apogee of his oeuvre during this period, Dance to the Music of Time, painted from 1634-6 for Giulio Rospigliosi, the man who would later become Pope Clement IX. 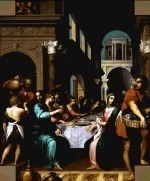 The success of this painting was followed by the innovative and remarkably challenging Seven Sacraments for Cassiano dal Pazo, and a series of Bacchanals in 1635 for Cardinal Richelieu back in France. 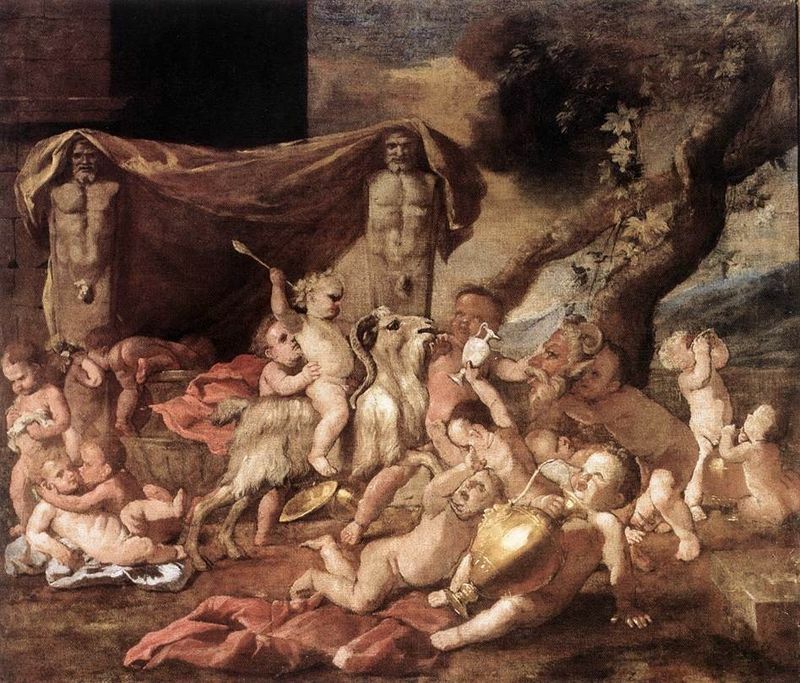 The Bacchanals executed for Richelieu's château were an enormous success. 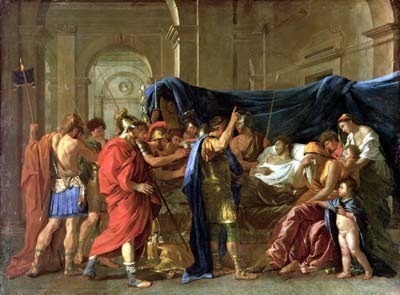 They were so popular, in fact, that King Louis XIII took note, and decided (with a little prodding from Richelieu himself) that this would be the perfect painter to re-decorate the Grand Galerie in the Louvre, and formally extended an "invitation" to Poussin, asking him to return to Paris in 1639. Poussin was understandably reluctant to leave Rome. He was, after all, happily married (although without children) and well-established in his career-why pull up roots now? Above all else, however, Poussin hated public commissions. As the artist gained popularity in the 1630s, he received some traditional commissions for altarpieces and devotional images, even an altarpiece for St. Peter's (the lone papal commission in the painter's entire career). These may have been perfectly decent pictures, but Poussin's heart just wasn't in it, and these were the least successful paintings in Poussin's entire career. Poussin was notoriously controlling about his work, and despised being subject to the demands of his patrons and having to direct workshop assistants. Therefore, Poussin petulantly refused to obey the king. After a surprising eighteen months of evasion, Poussin was finally more or less forced back to Paris under veiled threats from the French government. He commenced work on the decoration scheme, executing sketches and large cartoons for his workshop assistants to transfer to the gallery's walls and vaults. Poussin did his best to ensure that the assistants would follow his designs to the T, even creating wax sculptures as a model for those in charge of the stucco moldings. In the end, however, poor Poussin just couldn't take it: the pressure and lack of creative control nearly drove the painter to his wit's end. 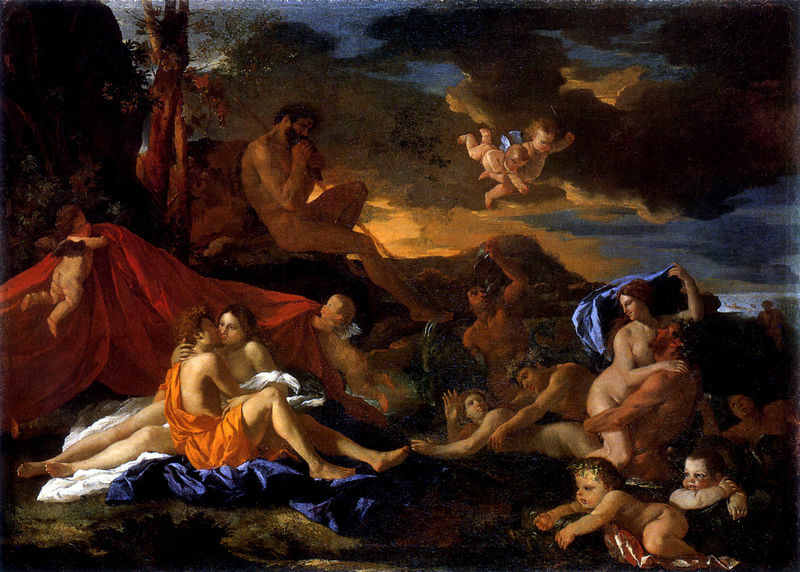 Although he managed to make at least one good friend in Paris, Fréant de Chantelou, who became one of his most loyal patrons, in 1642 Poussin deceived the king by asking for temporary leave to return to Italy in order to fetch his wife. Luckily for the painter, Cardinal Richelieu passed away in December of that same year, King Louis XIII following a mere four months later, completely absolving Poussin of his responsibilities. Poussin would never return to France again. All biographies and sources pertaining to Poussin suggest that he was a serious, introverted, scholarly man who devoted his days to books and antiquities, to the extent that one contemporary remarked: "Poussin lived and conversed with the ancient statues so long, that he may be said to have been better acquainted with them than with the people about him." Poussin's illness steadily worsened with age, becoming especially difficult to deal with in the 1650s. Nevertheless, he still managed to finish about three to four paintings a year, and was much relieved to finally be sufficiently well-off to choose his own subjects, set his own prices, and exercise total creative control. Poussin would even go so far as to send his paintings to his patrons with a note explaining why he had painted his subject in the manner that he did, and with tips on how to best frame and hang the painting for optimal viewing pleasure. Unlike many other painters of the Baroque, like Rubens or Bernini, Poussin did not employ workshop assistants, and in fact rarely allowed anyone to even enter his workshop. Poussin's last paintings reflect the artist's stoic endurance of his illness and his preoccupation with death. The artist was deeply affected by the death of his wife in 1665, by which time he was already completely ravaged by his mysterious illness and even, some say, partially paralyzed. The elderly painter wouldn't outlive his wife by long, passing away on November 19, 1665. Typical to the severe, stoic philosophy the painter adhered to in life, in his will Poussin stipulated that a big fuss not be made over his funeral, and that he should be buried with a minimum of expense; nonetheless, Rome was deeply saddened by the passing of one of her favorite artists, and all of Poussin's friends joined in the funeral procession to his final resting place at the Church of San Lorenzo in Lucina.